In the coming weeks, we’ll be participating in a variety of events and we’d love to meet you. 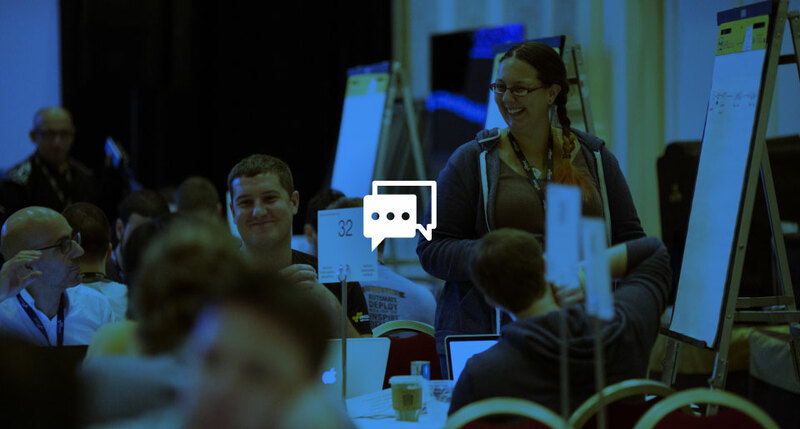 Get hands-on learning and learn to build an Alexa skill at a hackathon, attend a presentation at smart home events, join in the conversation at select conferences, or connect with fellow developers at a local meetup. Led by Alexa Solutions Architects and Developer Evangelists, hackathons are a great way to get the hands-on experience of building and testing an Alexa skill. The Galvanize workshop is intended for software and hardware developers interested in voice control, home automation, and personal assistant technology. We will walk through the development of a new Alexa skill and incorporate it into a consumer-facing device. /hack (slash hack) is the premiere hackathon by hackers, for hackers. Three hundred hackers will compete in the 24-hour hackathon held in San Francisco. Hackers at all levels – working professional, college student, or even high school student – can learn from students, CTOs, architects, and more. In this hour-long webinar we will build an Alexa skill using the Decision Tree skill template. The template makes it easy for developers and non-developers to create skills that ask you a series of questions and then give you an answer. This is a great starter for simple adventure games and magazine style quizzes like ‘what kind of job is good for me?’ We will use AWS Lambda and the Alexa Skills Kit, and provide built-in business logic, use cases, error handling, and help functions for your new skill. Simply come up with the idea before we begin and we will help you build it. Preceding the Disrupt Conference is Hackathon weekend, where developers and engineers descend from all over the world to take part in a 24-hour hacking endurance test. Teams join forces to build a new product and present it on the Disrupt stage to a panel of expert judges and an audience of tens of thousands. This free workshop is intended for anyone interested in learning how to program voice-controlled devices. Join Solutions Architect Liz Myers to learn about Alexa skills development. Memo Doring, Alexa Developer Evangelist, will teach Alexa Skill Building 101. In this talk we will walk through the development of a new Alexa skill and incorporate it into a consumer-facing device. If you are a software or hardware developer interested in voice control, home automation, and personal assistant technology, this is for you. The talk will include coffee, lunch, snacks, and an afternoon of hacking. Finish off the day with prizes sponsored by Amazon. Connected homes are increasing in popularity and in turn, smart home technologies are expanding. Join the Alexa team at these smart home events to learn more about voice control in this growing industry. CEDIA 2016 is the Custom Electronic Design & Installation Association industry’s global showcase of the biggest thinking, innovations, and connections in home technology. Join us to discover the most visionary products and ideas in residential technology, including the keynote “Creating Voice-First Experiences for the Smart Home” by Charlie Kindel, Director, Amazon Alexa Smart Home. Register today at expo.cedia.net with code AMA16 for free trade show floor access. Join Charlie Kindel, Director, Amazon Alexa Smart Home on the opening day of this two-day event as he discusses Alexa’s integration with emerging technologies behind home automation at this event focused on the impact of IoT on homes, cities, and industries. Join Alexa and Charlie Kindel, Director, Amazon Alexa Smart Home at day two of the second Smart Kitchen Summit, an event dedicated to exploring the intersection of tech, food, design, and commerce in the connected kitchen. Bits & Pretzels is a three day conference for founders and people from the startup ecosystem focused on bringing together the world’s leading entrepreneurs and investors to share their ideas. Charlie Kindel, Director, Amazon Alexa Smart Home will participate in the opening day’s events to discuss IoT. ”No longer is AI solely a subject of science fiction; it is now being implemented by a number of leading organizations spanning finance, law, healthcare, manufacturing, transport, energy, and education and many more. AI will drive business growth, and…will release workers to complete more creative and valuable tasks.” Join Ashwin Ram of Alexa’s AI Science team as he presents a keynote around Alexa’s AI innovations. Connect with colleagues to learn how to build advanced Alexa skills. In the evening, the organizers will cover building a skill with Node-RED, account linking and Alexa skills, and Alexa skills analytics. You’ll also have the opportunity to share your Alexa skill. Join fellow developers as they discuss building voice experiences for services and devices with Amazon Alexa, Members of the new Dublin Amazon Alexa Developers User Group are invited to attend this launch event.